Building on research conducted in 2015 supported by an Archie Green Fellowship from the American Folklife Center at the Library of Congress, we reconnected with Greg Cox, who runs Boardman Hill Farm in West Rutland, VT. Greg is a long time vegetable grower who is taking a lead role in helping young people learn the ropes and get a head start in building their own operations. 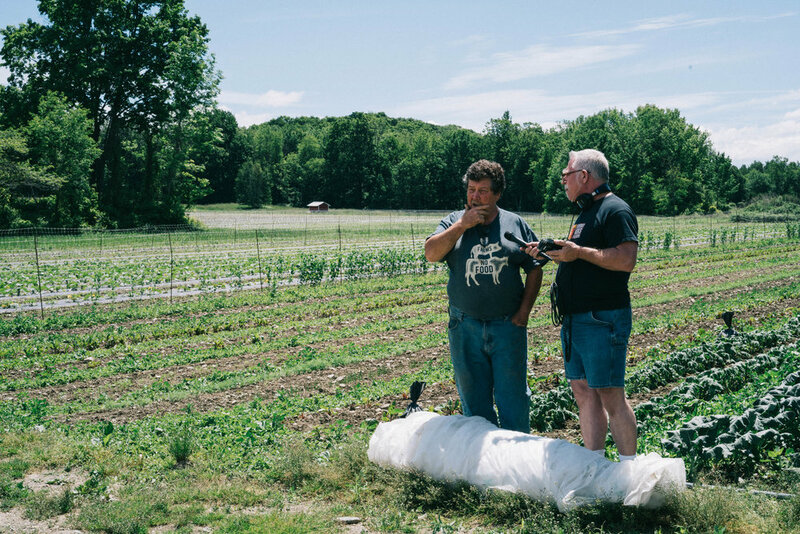 Greg often remarks that in addition to growing food, his primary goal is growing farmers. To that end Greg and his wife Gay offer flexible term internships for aspiring young farmers, with the option of staying on to learn and then to launch their own businesses—using Greg’s land, equipment, irrigation system and on-farm infrastructure. Since last summer VFC staffers Greg Sharrow and Kathleen Haughey have conducted research at Boardman Hill with Cox and his interns. Macaulay Lerman, a Green Mountain College senior, has been our partner in these efforts. Echoing Cox's interest in growing new farmers, we see talented interns like Macaulay as the future of our field. We've come to appreciate greatly Macaulay's insight, perspective and skill with a camera - in short, he's awesome. So we've invited Macaulay to share some of his thoughts and images. Boardman Hill Farm. Photo by Macaulay Lerman. My name is Macaulay Lerman, and I’m a senior at Green Mountain College, working towards a degree in photography and documentary studies. 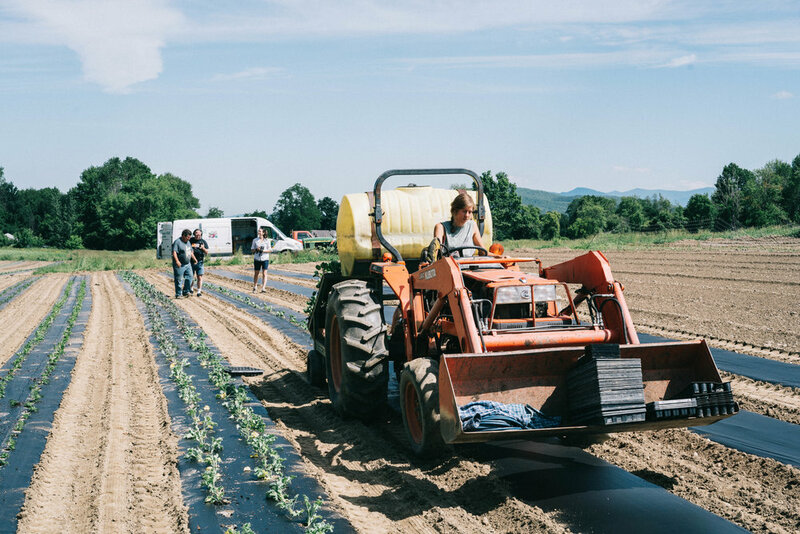 Since June of 2016 I’ve had the privilege of working alongside Greg Sharrow and Kathleen Haughey of the Vermont Folklife Center, documenting the rejuvenation of agriculture in Rutland county. Primarily, I work with a 4x5 view camera, an old and yet relevant technology that forces my subject to remain as still as possible for around 10 minutes while the image is made. In the digital age this may seem like an eternity to some, but the need to slow down often relaxes me as well as my subject, and allows for an organic conversation and honest depiction. 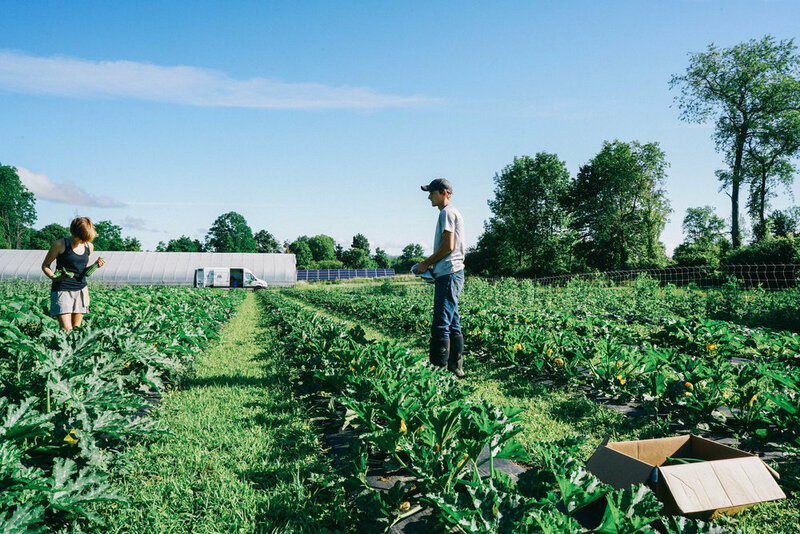 While the format of the project as undergone some evolution, the mission has remained the same: to tell the stories of those who contribute to Rutland’s agricultural community, shedding light upon a growing network of compassionate individuals who are committed to the production of local food in the region.